This is a clear winner against polyester/nylon messenger bags. The bag is made from a high quality, eco-friendly, biodegradable, 10oz 100% cotton canvas with more than 30% recycled content. A functional top slip pocket and adjustable 1.5" wide cotton web handles makes it practical. Display your logo on both sides. 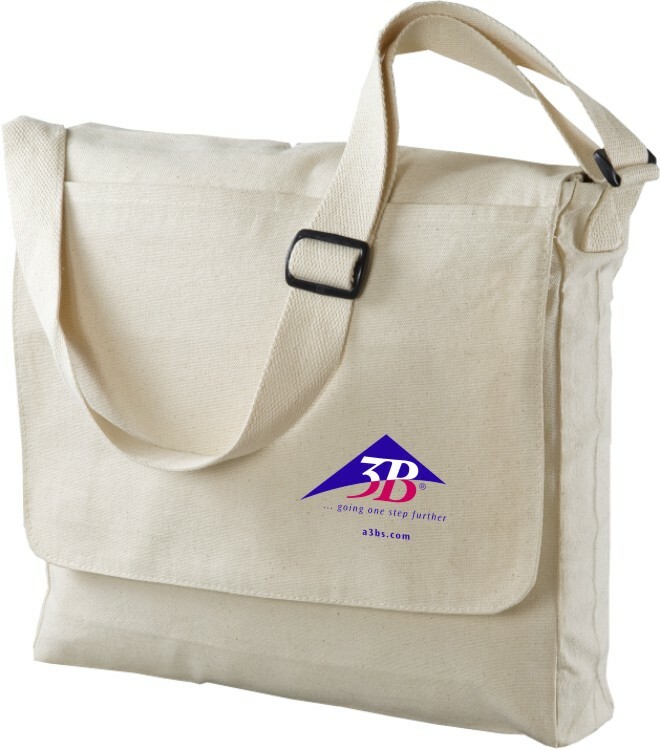 This bag can be used for trade shows and will make a great corporate gift. 13" x 13" x 3 "